For Chrysanthemum Tran, a 23-year-old trans woman of color, living in the present means making sure she takes her medication in the morning. It means surrounding herself with community. Some days, it means not watching the news. When simply existing feels like rebellion, getting out of bed every day can be considered a sacred ritual. To thrive in a nation where, year after year, there’s an increasingly high number of transgender women of color who are violently murdered is to wage a personal and daily war against erasure. A 2018 Human Rights Campaign Report found that since 2013, more than 128 transgender, non-binary or gender-expansive people have been killed in the U.S. The report states that the "epidemic disproportionately impacts trans women of color, who comprise 80% of all anti-transgender homicides." But day-to-day there exists a place beyond all that brutality and pain, Tran said. Both Ameer and Tran have already established themselves as two of the most recognized trans poets of color on the local and national poetry scene. 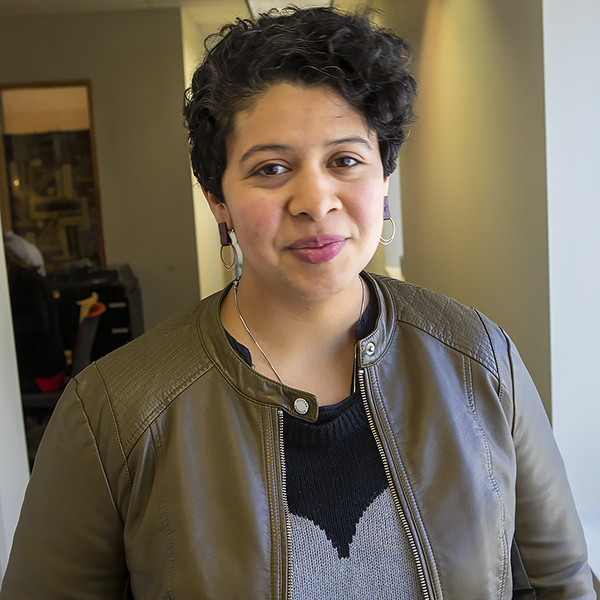 Ameer is a community organizer, 2017 FEM Slam Champion, two-time Providence Grand Slam Champion, and she ran for office in the fall against Seth Yurdin, the incumbent city councilor of Ward 1. Ameer uses the pronouns she, her, hers, and xe, xem, xyr. Tran made history in 2016 when she became the first trans woman finalist of the Women of the World Poetry Slam. She is the 2016 Rustbelt Poetry Slam Champion, 2017 FEMS Poetry Slam Champion, and serves as a teaching artist for the Providence Poetry Slam. Tran uses the pronouns she, her, hers. Each poet had been invited to open for Kit Yan, an award-winning, Asian-American trans poet, at Oberon. Those performances coupled with their bodies of work convinced artistic producer Mark Lunsford these poets could carry a show. The debut, two-women show centers on anthems, from war cries to dancing epics. 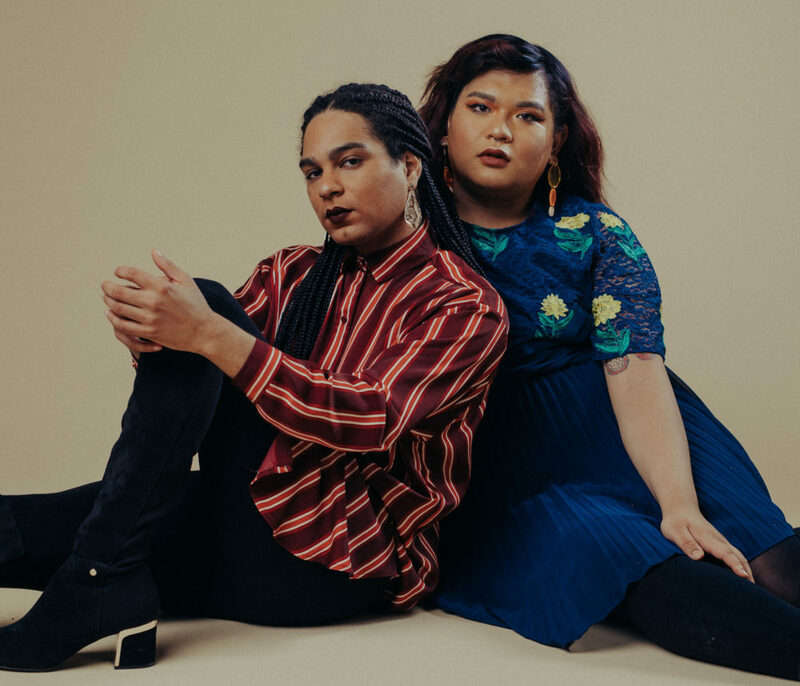 Tran and Ameer have taken the opportunity a step further, inviting other artists, nearly all who identify as trans, queer, or non-binary, to join them over those two evenings. 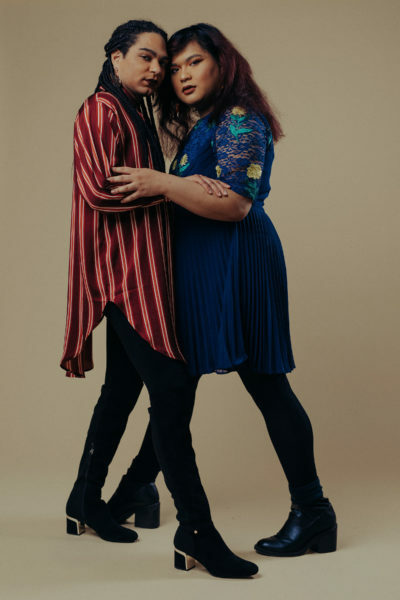 They said they wanted “Anthem,” to uplift trans artistry and to give back to the LGBTQ community, weaving in stories, songs and music. The performance grew to an 11-person cast. 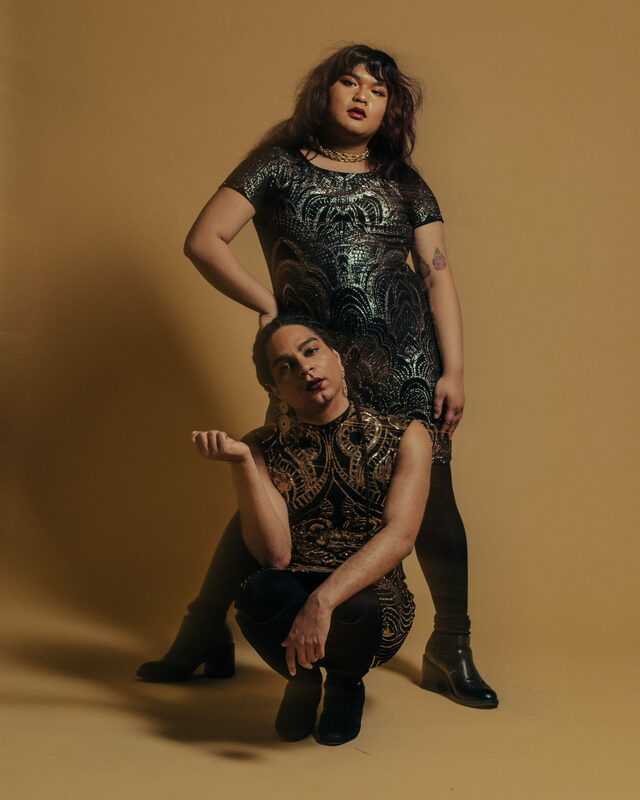 They want the audience to experience their lives on that stage for an hour and to imagine a future where trans people's survival is a guarantee. Lunsford said as Oberon features more and more spoken word, he remembers the words of his theater professors. They told him that theater is often the last art form to get with the times, while poetry can clap back even as new ideas emerge into the public consciousness. In "Anthem," the poets show a community that is self-sustaining. They listen and inspire each other in spite of challenges, of being disparaged or misgendered or hurt. Ameer said her joy is tied to her friends, loved ones, and chosen family, those who accept and love her as she is. Ameer lives in the present by singing loudly in the shower, by writing poetry about beauty in her everyday life, by sharing her joys and her pains with her trans sisters and trans siblings. Cristela Guerra is an arts and culture reporter for The ARTery.